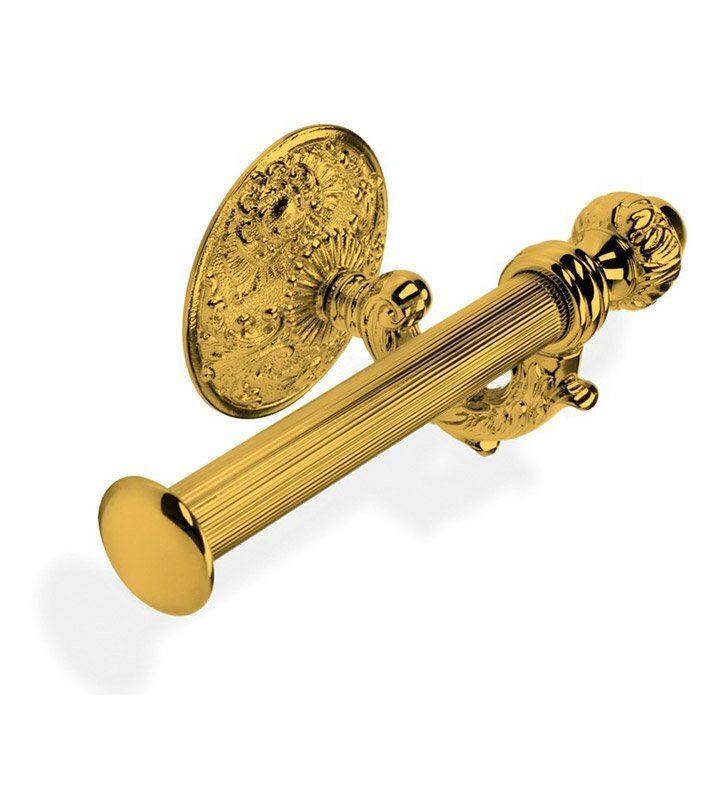 A luxury toilet paper holder made in extremely high quality brass and finished with gold or polished chrome. This toilet tissue holder from the Stilhaus Noto Brass collection is a contemporary-style toilet paper holder. Made in Italy. Is great for your high-end personal bath.